This Scorecard will compare your companies receivables performance with a number of other companies in your industry(peers). This will also help you identify the opportunities for improvement in your receivables operations and quantify the potential savings. Modern day receivables management is no longer a simple collection paradigm. It has evolved to become a strategic function of financial supply chain management. Receivables management now involves end-to-end supply chain functions of credit, collections, deductions and cash application. Companies are now emphasizing the achievement of higher efficiencies in receivables management to significantly reduce bad debts and increase working capital. This custom benchmarking report will help you diagnose your receivables operations to identify improvement opportunities. Receivables Performance Scorecard will benchmark your company’s A/R performance versus your peers in the industry. It helps you get started and understand your Receivables Management Performance. The scorecard is based on a Receivables Performance Index (on a scale of 0 to 1000, 1000 being best). 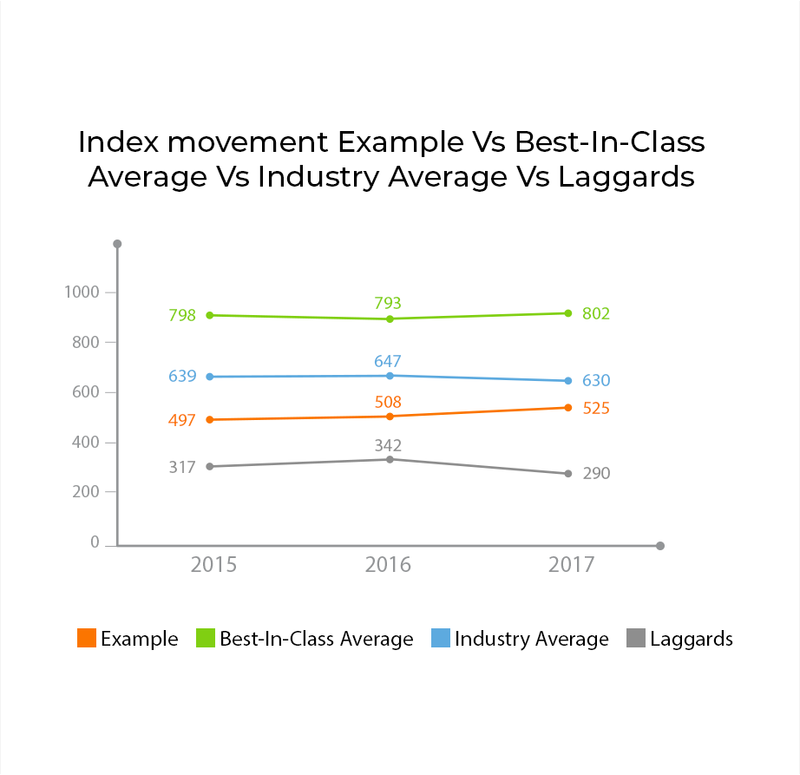 The Receivables Benchmarking Index comparison graph will depict the evolution of your receivables performance along with the Industry's Best-In-Class, Average and Laggards. 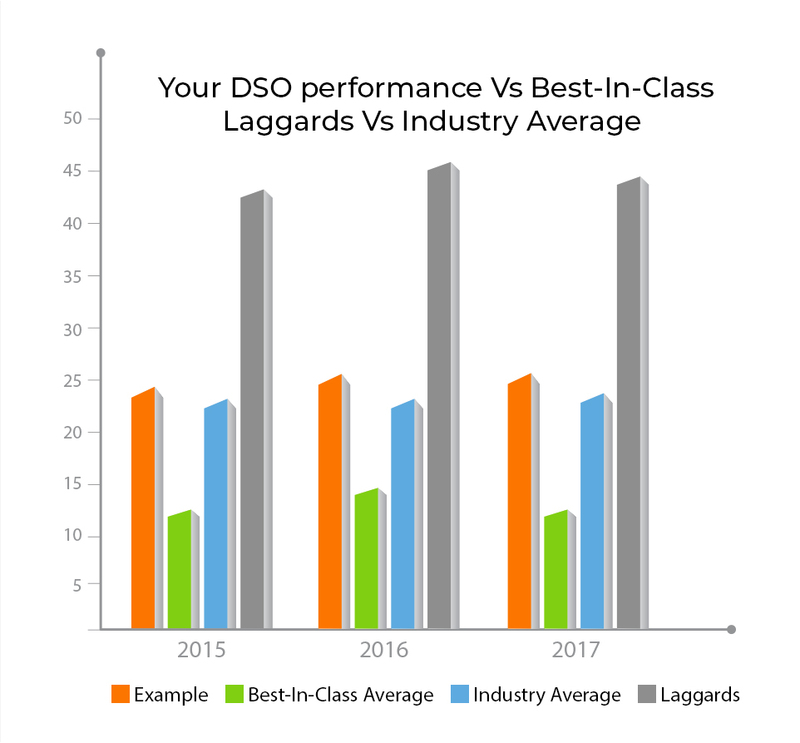 The Days Sales Outstanding Performance graph will compare your DSO standing with your Industry's Best-In-Class, Average and Laggards over a period of three years. The ROI Analysis will help you build a foundational understanding of the different optimization opportunities which you can leverage to create a visible and direct balance sheet impact. 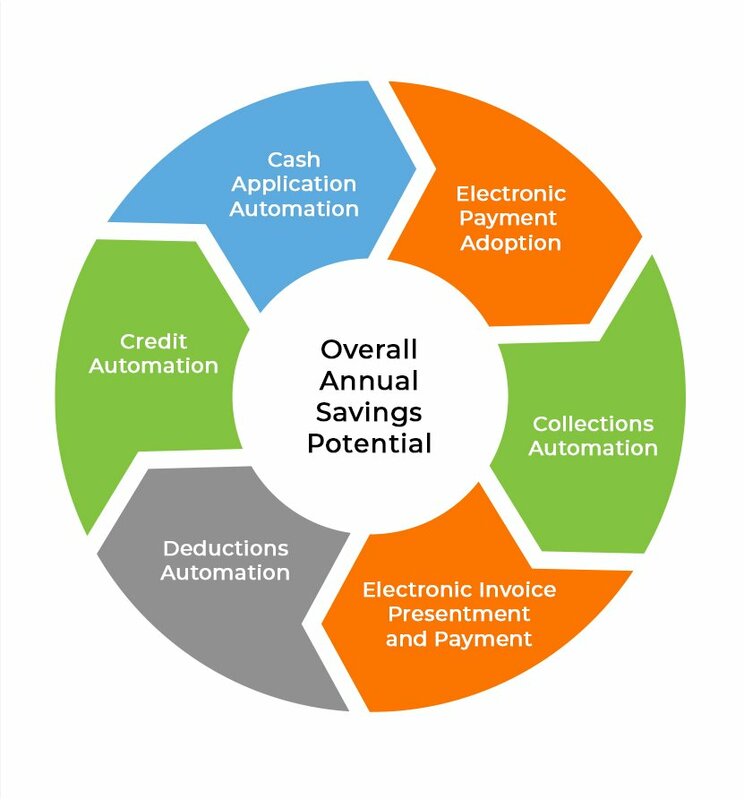 This calculates the Overall Annual Savings potential which comprises of Savings from Cash Application, Electronic Payment Adoption, Collections Automation, EIPP, Deductions Automation and Credit Automation. Start Improving Your Receivables Operations Now!